Hong Kong is for lovers. Food lovers, that is. So much so that on my most recent visit, I found myself gorging on local treats up to four times a day. Gluttonous? Sure. But, with the city's infinite number of street food vendors, bustling dim sum bruncheries, afternoon tea times and bakeries on just about every corner (oh, the bakeries!) it's almost impossible not to be constantly stuffing your face. The fact is that there are few better ways to explore a country's culture than through its cuisine and this couldn't be truer in Hong Kong. 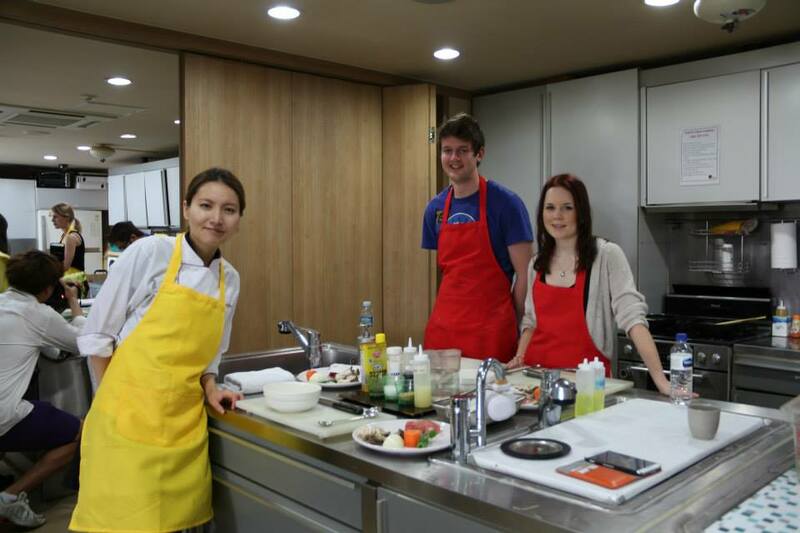 So, in an effort to delve deeper into the culture and to pick up a few tips on how to bring local flavors back to Korea with me, I decided to enroll in a cooking class at Home's Cooking for the ultimate market-to-table experience.